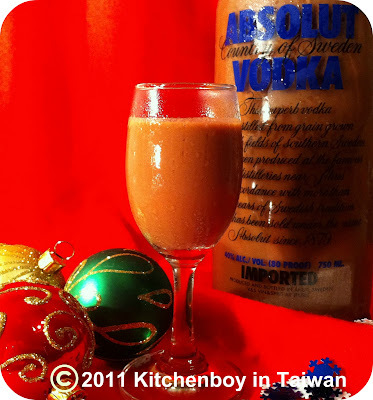 Chocolate Vodka is the easiest thing in the world to make and you are sure to impress your guests when you take a bottle of this smooth, brown liquid from your freezer. My friends in South Africa use Bar One chocolates and I suppose a Mars Bar would do the trick too, but as usual, when I tried to find a Mars Bar anywhere in my city, there were none to be found. You can use any kind of chocolate though, but maybe not the kind with wafers, fruit or nuts in them. It would make for quite a messy affair! Pour about ⅓ of the vodka into another container and reserve for later. Put a large pot of water on the stove and heat the water to almost boiling. Meanwhile chop up the chocolate, squeeze it through the opening of the bottle and replace the cap securely. Use a funnel to return the remaining ⅓ of the vodka to the bottle. Give it a good shake to mix it well. 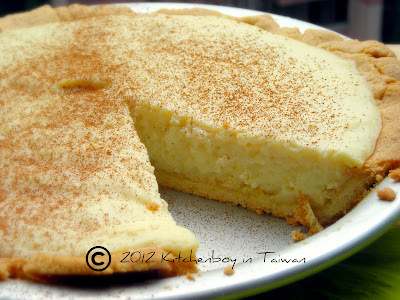 Keep it in the freezer until you are ready to use it. The chocolate won't solidify again, but it will give the chocolate vodka a rich, smooth consistency. You can drink this neat or over ice or use it as a topping over ice cream. I also found these cocktails on the Intoxicologist blog. Have a look at these and other delicious cocktails they have. 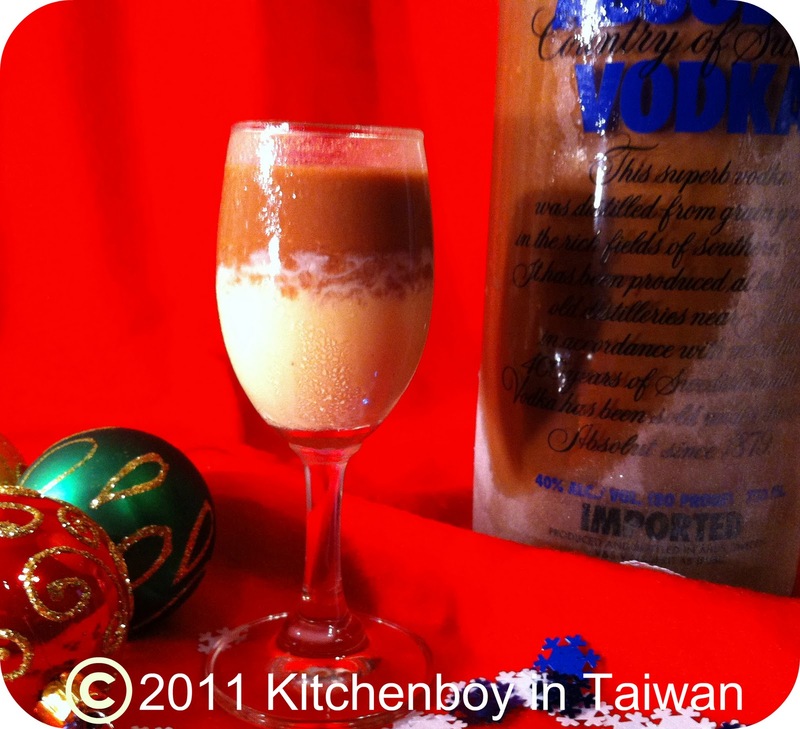 Shake vodka and Crème de Cacao with ice and pour into a chilled martini glass. 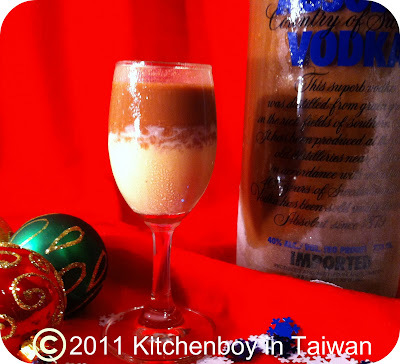 Add a splash of Crème de Menthe on top, and garnish with a chocolate kiss. 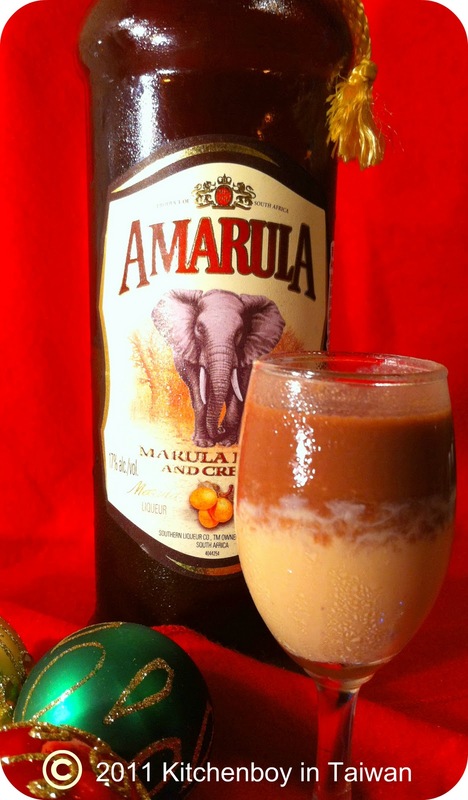 Pour the Amarula Cream into the bottom half of a shot glass. Slowly and carefully pour the Chocolate Vodka on top of the Amarula Cream, over the back of a spoon. Enjoy! Don't drink and drive! I see you at least have drinks sorted for the jolly season. Looks amazing!! Yep! The drinks are sorted. Thanks for the visit! I'm dreaming of a weekend away...Winter Holiday in FIVE weeks!